I took this picture of these ladybugs on a plant that is on my front lawn. I did not know there is over 150 different types of ladybugs and it took a while for me to identify these two. 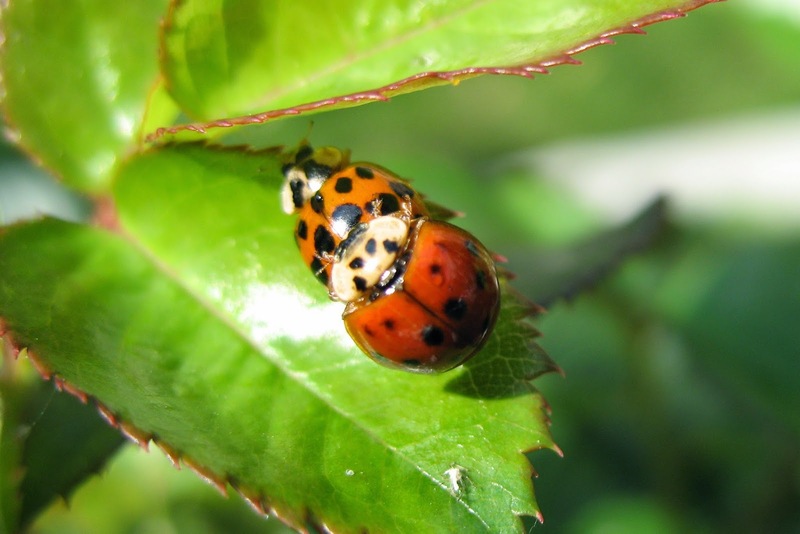 They are a variation of the same type originating in Asia but brought to the US to help control pests such as the white fuzzy aphid on the leaf just below them. I don't know where the aphid is coming from as I don't have any apple or beech trees around my house that this type congregates on.